Well, Pure Spa Direct is officially taking it back, and offering a fun new retail product pulled straight from the best generation. SCENTED HAIRBRUSHES! Let Your Juices Flow with our Fragranced Brushes! This fun and exciting adaptation of the D3 Classic Styling Brush is equipped with colored pads, fruit prints and an fruity fragrance! Smooth, round-ended nylon pins in a staggered formation provide exceptional grip and control for maintaining tension on the hair while styling. The famous half-round rubber pad is perfect for smoothing hair, creating sleek bob shapes and for flicking out! Your clients will love them! Check our the entire line up : Strawberry Shortcake, Lemon Sherbet, Green Apple, Wild Dewberry, and Orange Tango! 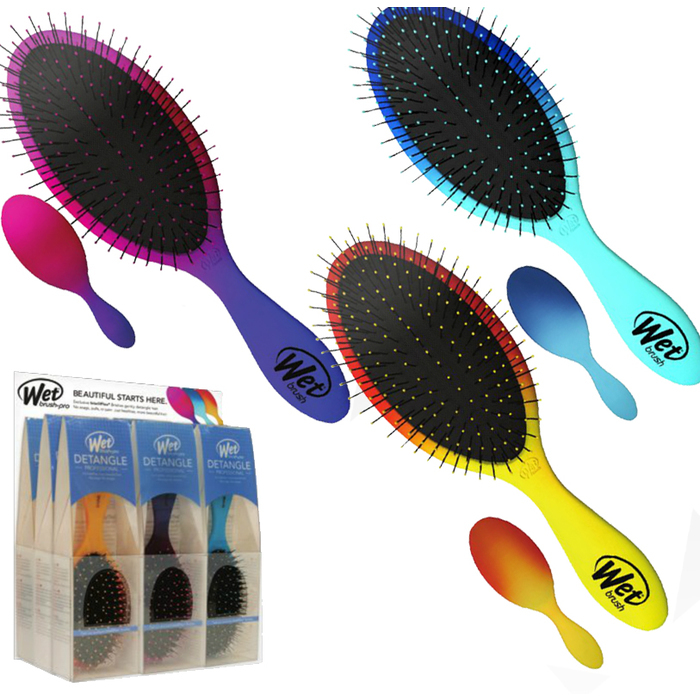 The best-selling retail hairbrush, the Wet Brush, has just gotten even cooler with the OMBRE COLLECTION! These eye-catching colors are sure to catch your clients' eye, and the effective, comfortable brush will keep them coming back for more. What makes the Wet Brush so awesome? What the heck are IntelliFlex™ bristles? IntelliFlex™ bristles are thin, strong and very flexible. They have intelligent flexibility - flexible on one stroke and firm on the next. The adaptive flexibility of IntelliFlex™ eliminates all tugging, tearing, pulling and ripping. No split ends, no hair loss. It provides healthy brushing and detangling, creating the perfect transition from wash to style! 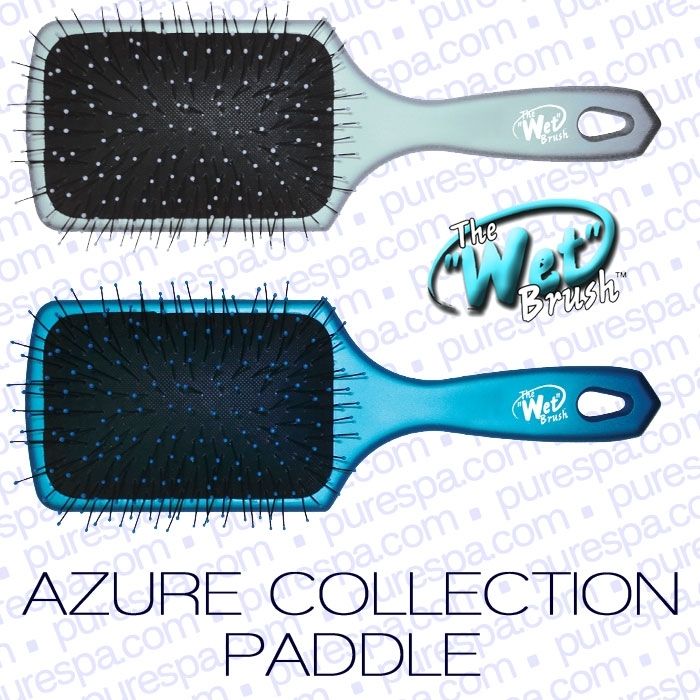 Why Should I Sell the Wet Brush in my Salon or Spa? At first glance, The Wet Brush looks like an ordinary hair brush, but with just one use, women, men and children will learn why it's the world's best detangling brush! 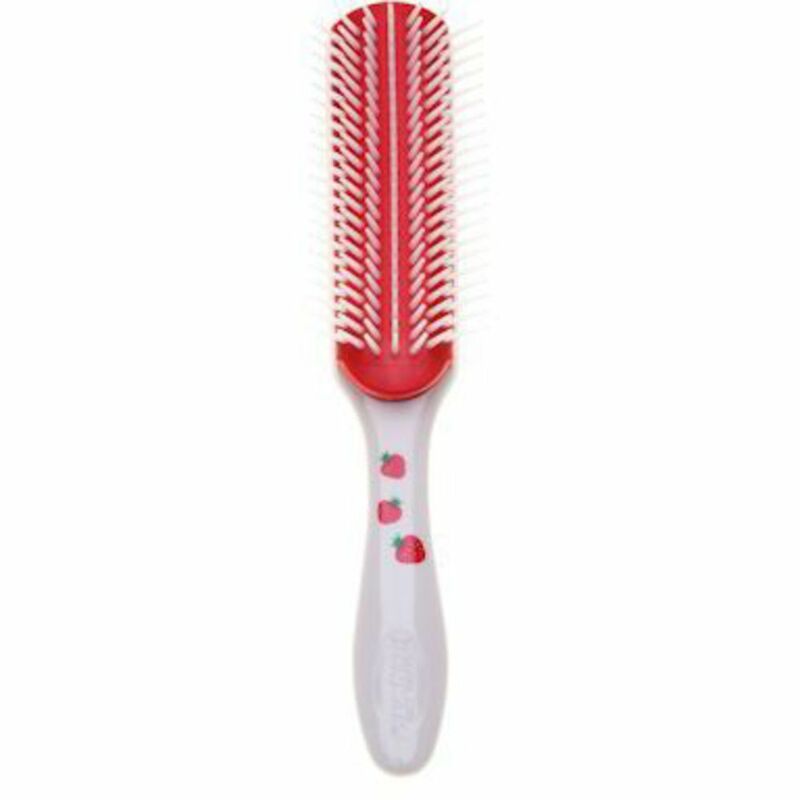 Used on wet or dry hair, The Wet Brush quickly and painlessly detangles even the thickest, most stubborn hair thanks to its revolutionary bristles. Specially formulated, The Wet Brush's IntelliFlex bristle is designed to be ultra thin and flexible, yet still have rapid recovery memory to instantly bounce back to its original form. In addition, the ball tip bristles provide a massaging action that stimulates circulation at the follicle and is a proven benefit for hair health. Your clients won't be able to just buy 1! By Popular Demand, the Newest Additions to the Wet Brush Family! We have all discovered the magic of the WET Brush (oh you haven't? Try them. They are awesome. And retail them to your clients - you won't be able to keep them on your shelves!)! Meet the two newest WET Brushes: The Wig & Hair Extension Loop Brush and The WET Brush Paddle Brush! With the popularity of hair extensions growing by leaps and bounds, providing the correct tools for your extension clients to maintain their extensions is nearly as important as your skill in applying them. Clients with hair extensions (or wigs) need to be especially careful not to tangle their hair or tug on the extensions, especially when brushing. 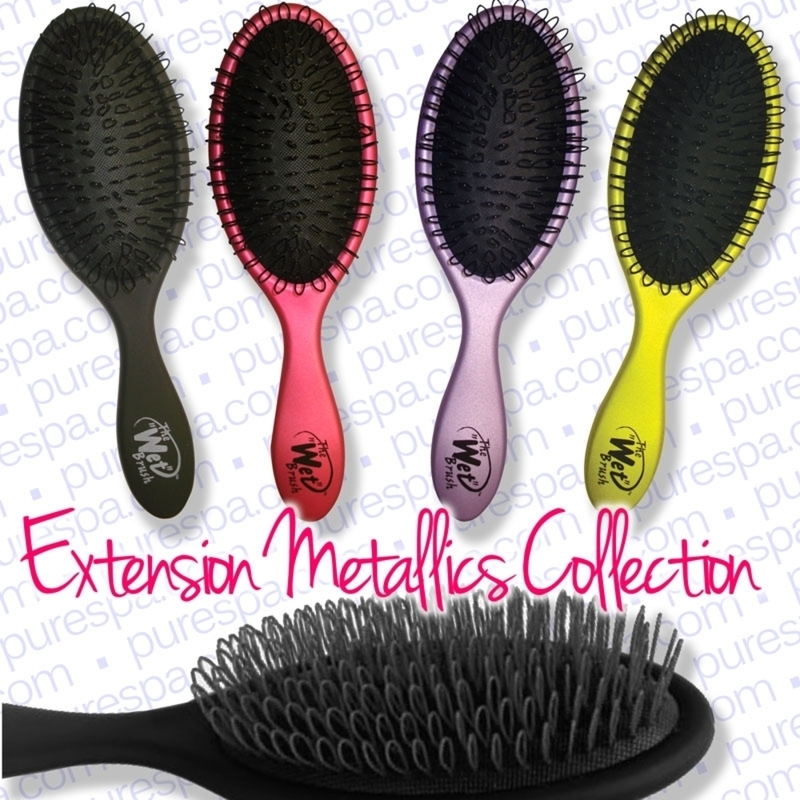 By brushing with a loop bristle brush, the hair cannot get tangled on the bristles, making hair extension care easier. Available in Metallics Collection (assorted metallics colors). By offering an extension brush made by the brush brand we all know and love, you can keep your clients happy, preserve your hard work, and make a profit to increase your bottom line. It is a win-win-win situation! Featuring the same comfortable, flexible bristles we already love in the Wet Brush, but it the larger, paddle brush shape, this brush is bound to excite your clients! Featuring the original rubberized non-slip grip and the soft bristles of the original Wet Brush, this paddle brush detangles with ease! Available in Black or Azure Blue Collection (assorted Azure colors). 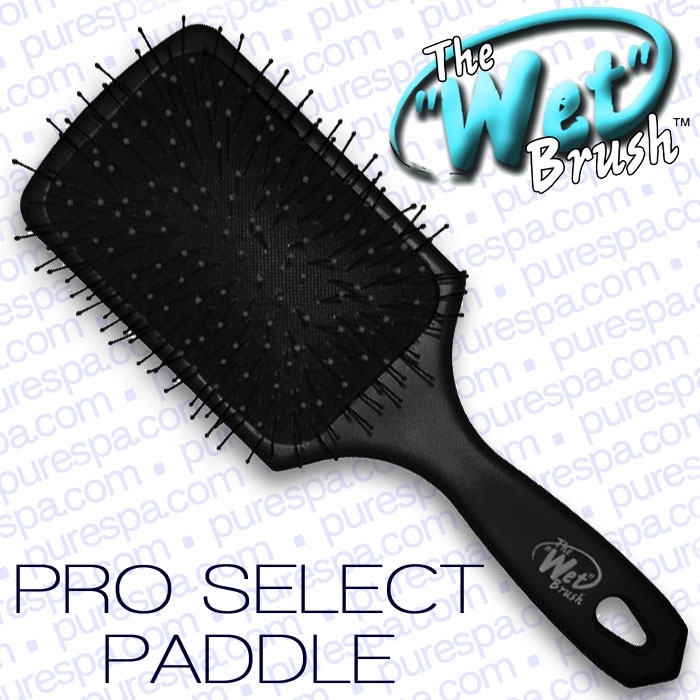 Many clients love the Original Wet Brush, but crave a bigger brush - now you can offer it to them with the Wet Brush Paddle Brush! The New Season Calls For Changes in Hair Care. 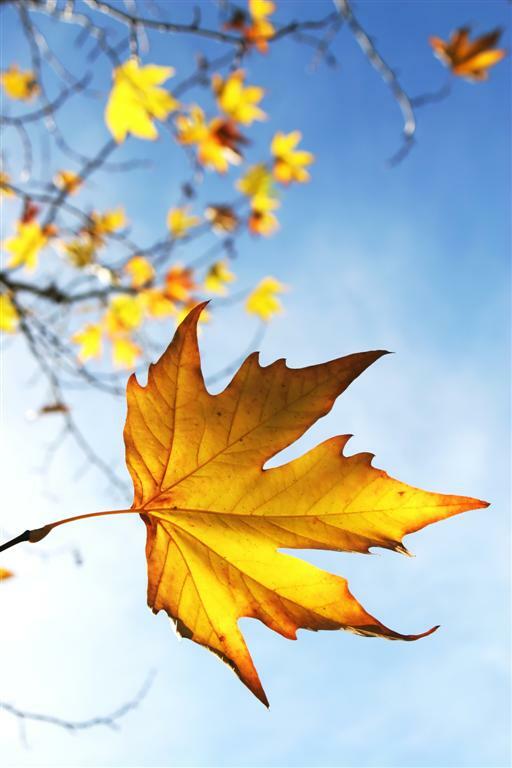 With the seasons changing, so will your clients' hair. Which means, it's time to start changing up the hair routine. After the summer months and exposure to the UV rays, chlorine, highlights, and ponytails your clients' hair is going to need a makeover. With summer and humidity causing hair to frizz, fall's colder weather will cause dry strands. So what needs to be done is take care of the summer damage AND prepare for the colder months (no bad hair days!). The first step to this new routine is simply washing hair and ridding it of all the build-up consumed over the summer. The best way to do this is by using a clarifying shampoo and conditioner or a clarifying treatment. You'll also want to add a deep conditioning treatment about once every 2 weeks. Getting a cut will also help keep hair looking great and feeling healthy. Your clients will be surprised at how much of a difference a hair cut can make! When changing up the routine for the fall, also keep in mind your clients who seasonally change their hair color, you are going to want to offer services to them that will keep their hair hydrated. Great looking hair can always be achieved as long as the right care and maintenance is being done! One 'n Only - Keratin Deep Penetrating Conditioning Treatment 5.3 oz.